Storyful, the social media news agency, has teamed up with Google to launch YouTube Newswire. The feed will surface verified clips related to major news events, hopefully helping journalists to avoid hoaxes. 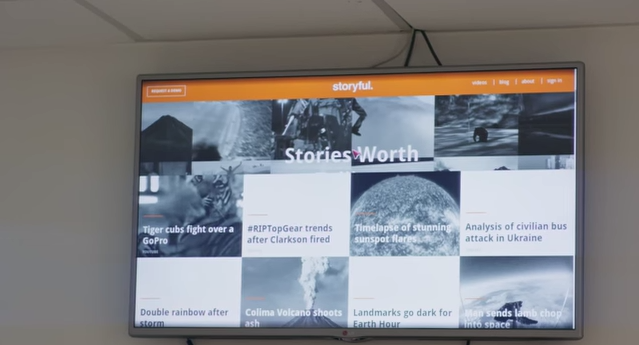 Storyful was acquired by News Corp in 2013 and has previously launched Facebook Newswire for surfacing newsworthy content from that social network and FB Techwire, dedicated to tech news. Back in 2011, when Storyful began formally working with YouTube, 48 hours of video were uploaded on the platform every minute. Now it’s a 300 hour-per-minute deluge, some of which has the capacity to change the way we see the world. YouTube has profoundly altered and enhanced the way we document history. The service has verified over 100,000 different videos on YouTube and has partnered with Google on other projects including CitizenTube and the Human Rights Channel. Storyful has even managed to make Google+ useful with its Open Newsroom Group where a large number of journalists discuss clips and share techniques for discovering which are genuine and which should be discarded. The company is also a YouTube partner, which means it can help people who capture a newsworthy incident to be rewarded for their footage. …the problem we are trying to fix is the same we’ve been innovating against since 2010: Helping journalists find stories worth telling amid the noise of social. Storyful has a really strong track record in separating the wheat from the chaff. The arrival of YouTube NewsWire is definitely welcome in an online world where journalists are still regularly bamboozled by fakers. Google has also announced two other projects to improve online news verification – The First Draft Coalition, which brings together proven experts in the field to offer advice and resources, and The Witness Media Lab, focused on documenting human rights issues with citizen video.